TechnoServe Saudi Arabia Co. LTD is a dynamic leading industrial conglomerate in Saudi Arabia, established in the year 2002 in the name of Eurotechnology Saudi Co Ltd. The Company is jointly owned by Al Bassam Group, Al-Haitam for Industries & Economic Development and Dynamic Energy Company. 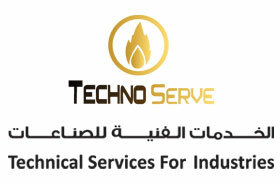 Technoserve’s oilfield centre is situated in Dammam, Kingdom of Saudi Arabia on the main Dhahran – Jubail Highway. Our facility is situated in a 35,000 m2 location which offers a full range of services for our customers including Inspection, Repair, Manufacture and Re-Certification. The company’s machine shop facility is licensed by American Petroleum institute (API) to manufacture drilling equipment, API blind, swivel, weld neck, and threaded companion flanges, flanged and hub connection pressure control equipment, clamps, flanged and studded crosses, tees, spools, double studded adapters, and more. We currently hold the API 5CT, API 6A, API 16A and API 7-1 Licences from API as well as being an approved facility with API Q1, ISO 9001:2008 and ISO/TS 29001 Accreditation. We provide all of the above to Saudi Aramco and to all the major Drilling Companies within the Kingdom of Saudi Arabia and GCC. We hold additional licences from Grant Prideco to cut their XT series connections and from Voest Alpine to cut 2-3/8 to 7” VAGT premium connections . We are doing all repair and re-certification of valves and choke manifolds, as well.